Junius on UKIP: Gawain Towler to resign as UKIP MEP candidate? Gawain Towler may be forced to resign as an MEP candidate in the South West. Certain allegations have been made against him that may make his current position in UKIP untenable. Perhaps junius you would like to publish these allegations. I have it on good authority Gawain, would then happily take legal action. The allegations are without foundation, but of course you already know that hence you not having the courage to actually post what they are, just as usual using your cowardly innuendo. 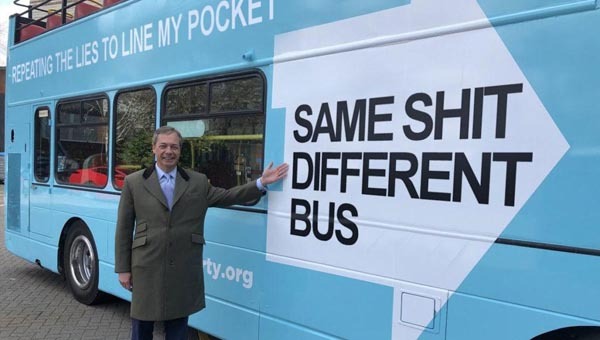 I see that Farage's bumbling sock puppet is back. Bob, did you get someone to write that for you? Glad to see you enjoy my blog.